If you read my post last month you'll know that I am a huge fan of Ray-Ban Round Icons. The obvious is in the name, they're icons. They come in so many colours to your taste and I love these blue ones. I saw Gigi Hadid rock them in her street style and I knew I just had to have them. I like them because they really do add a pop of colour to your outfit. They're such a gorgeous shade of blue as well and surprisingly they do go with so much. 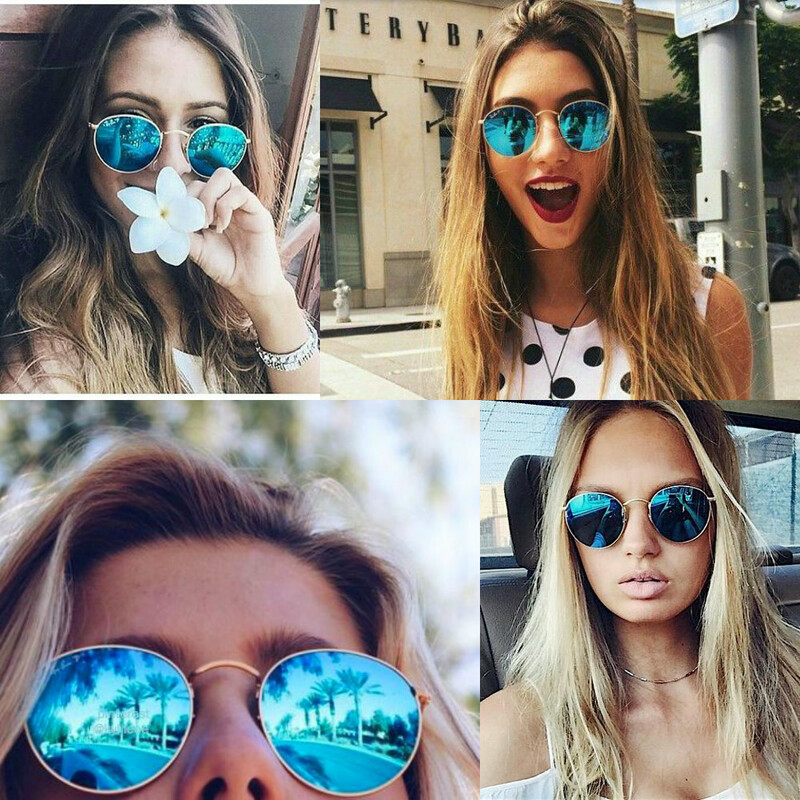 I find with sunglasses though, you can mix and match them with any outfit because they speak for themselves and you can go for big bold statement sunglasses or simple ones. These are in the middle because although they are the classic, simple icon rounds - they catch attention due to the gorgeous colour - so if you're wanting a statement without being too much ... these are perfect for you! They guarantee to give you a trendy, rock and roll edge to your look and that is why I love them so much! 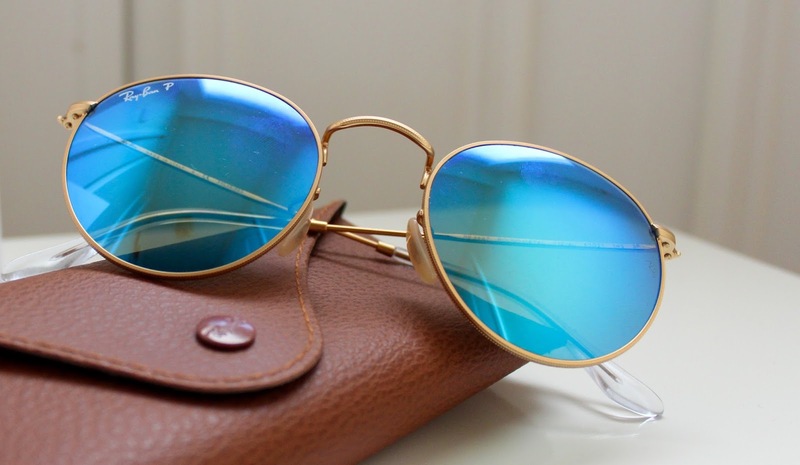 Another benefit of these particular blue flash lenses are that they are polarised with UV400 lenses, so say goodbye to the glare! They are so effortless and chic, and despite being a mainstream popular style, they carry a vintage vibe which is perfect for festival season, and of course, all around the year!